IF YOU can't have your own slice of paradise, why not go hang out at New Zealands? Huh? 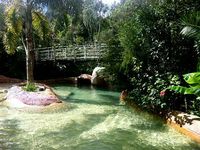 Oh, I'm just talking about The Lost Spring, the most chilled, watery, relaxing day spa this side of the Southern Hemisphere. 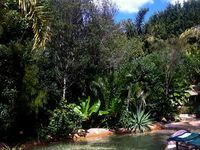 I spent a few good hours there on a recent trip to New Zealand and emerged from the abundance of hot natural springs feeling three years younger and some four pounds lighter. Yes, yes, it's remarkable how much stress can weigh these days. 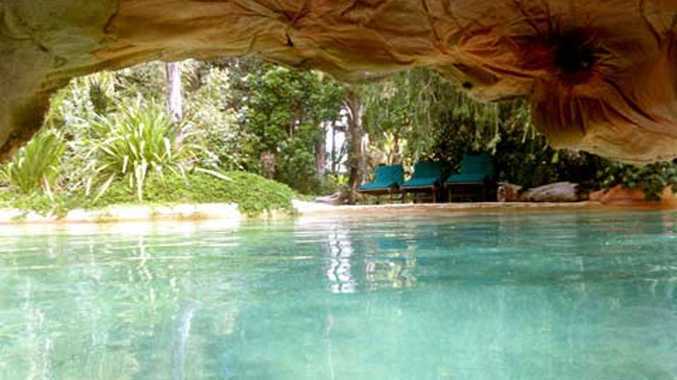 Anyway, the Lost Spring, which is in the equally pitcuresque surrounds of Whitianga, in the Coromandel Region of the North Island, is an all-natural, geothermal day spa, swimming pool and restaurant, with food that'll have your mouth watering. All of which is kinda fitting given where you're eating it. 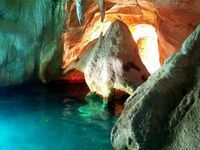 Founder Alan Hopping started building the natural baths and day spa some twenty years ago, but only opened for business three years back. So it's been very much a labour a of love and it shows. This is my kind of hangout.